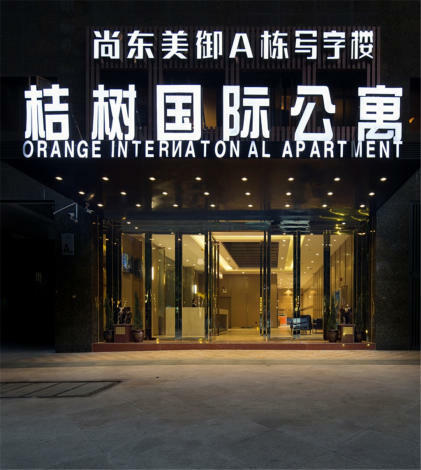 Opened in 2017, the Orange International Apartment (Guangzhou Zhujiang New City) offers travelers a pleasant stay in Guangzhou, whether for business or leisure purposes. The hotel is only 4km from Guangzhou East Railway Station and 36km from Baiyun International Airport, giving guests a number of convenient transportation options. Just a short walk from Liede Metro Station, traveling to most city destinations is a breeze. Famous local attractions MAG Universal Magic World, Grandview Aquarium and AWAY Spa Center (Guangzhou W Hotel), can all be reached with a short walk. When guests have some time on their hands they can make use of the onsite facilities. This Guangzhou hotel provides parking on site.